Book a FREE Quote Today for your deck painting work. If there ever was a more kiwi summer project, it’d be deck painting; when the spouse’s wishes are finally answered with the help of Mitre 10 having a sale on deck paint. Off comes the deck furniture and BBQ (that needs cleaning) and on come the super-sized paintbrushes and paint rollers. You slop on some paint, enjoy a few beers and enjoy a summer with a freshly painted deck. The paint splotches on the house, dog and pot plants are cheerfully ignored along with the fact you never prepped the deck properly before painting. By the time the next summer rolls around, your paint is flaking away and the cycle repeats. BJA Painting Services has made quite a career from helping well-meaning kiwis get out of the endless cycle and give them a reliable deck painting service that will outlast any summer project. 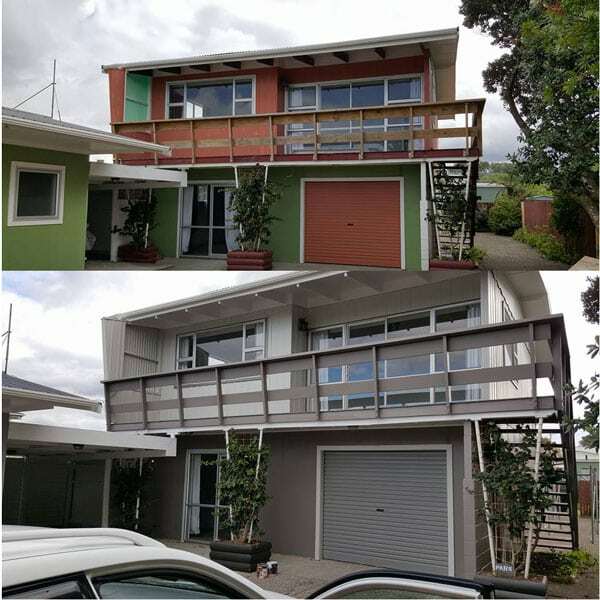 For those that have never attempted the quintessential kiwi project, we have also painted numerous decks that have been freshly built and have raw timber just waiting for a fresh lick of paint or stain. Whether you are looking to stain, paint or repaint an existing surface, we can make sure that your next deck painting project will be done right, the first time. From total paint preparation of old flaking paint or getting those raw timbers ready for stain or paint, you can be sure the resulting finish to be nothing short of perfect. We understand that a painted deck will be subjected to a lot of foot traffic and beer spills over its lifetime and want to ensure that it’ll tolerate those stresses without fading away or flaking. Surface preparation plays a large part in this as without a proper foundation for your new paint; the bond to the wood won’t be the best it could be. Expect to hear the buzz of sanders a lot during your deck painting experience as the wood and existing paint will be subjected to a thorough grilling in numerous grades of sandpaper to get them ready to accept paint. Also, no detail is left behind nor does any drop of paint go anywhere you wouldn’t want it to. The pot plants and dog will be spot free after we are done. 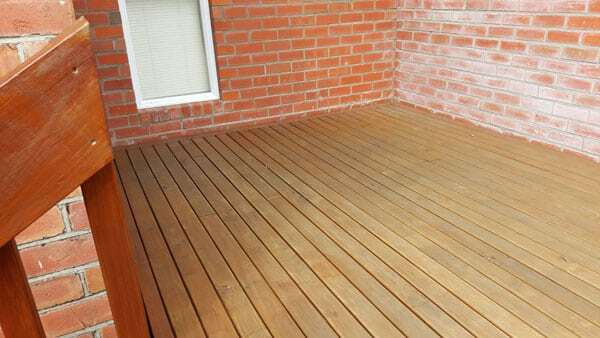 BJA Painting Services also offers deck staining and we have the experience and equipment to ensure a consistent and even stain of your new timber deck. Timber stain can be a tricky one to apply evenly and often time’s results in a patchy finish if the proper care and steps are not taken. BJA Painting Services will take care to give your timber deck an even and bold stain that will protect the wood while also looking great and consistent all throughout the area. 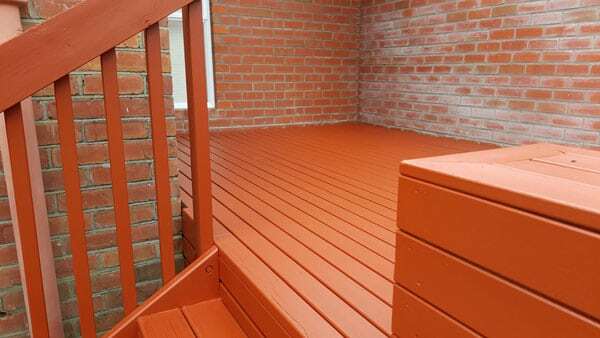 If you would like us to take care of your next deck painting project, simply get in touch to organize a free quote. From the initial enquiry we will do our best to provide you with reliable and professional painting services that will see your deck is finished and ready for the first summer BBQ in no time.